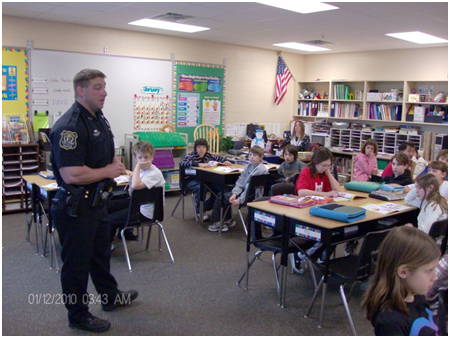 The Brookings Police Department continues its commitment to community outreach in the DARE Program. 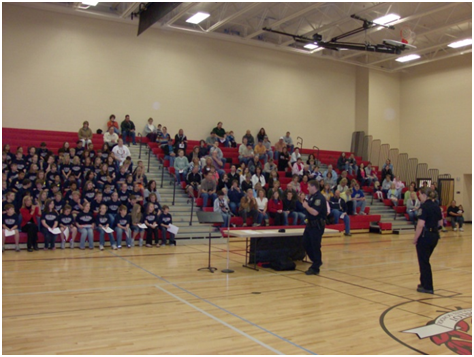 DARE (Drug Abuse Resistance Education) is taught to well over 200 5th-grade students each year. The DARE Program has been in existence for over 20 years and has touched thousands of kids in the Brookings area. In the photo to the right, Officer Joe Fishbaugher talks with a group of students about peer pressure and the impact drugs can have on a life. The classes are offered free by the Brookings Police Department and are available upon request at your local elementary school in Brookings.